Recognize Excellence with a Gavel from us! 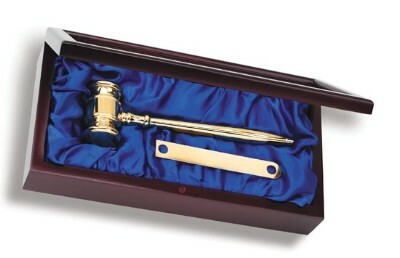 Gavels are the perfect gift or award for the judge, chairperson, or CEO in your life. Giving someone a gavel says to them that they deserve respect and to be listened to. Awards Zone carrys gavels in wood and brass and some come with stands and cases. Call or email us today for information on the perfect gavel for the special person in your life.